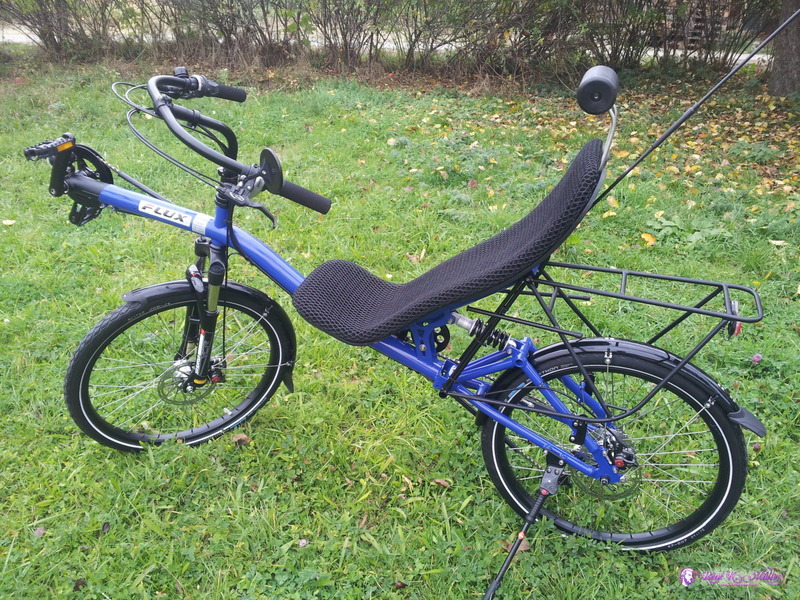 from her book "A Return To Love"
Fri, October 16, 2015: more photos, more details. 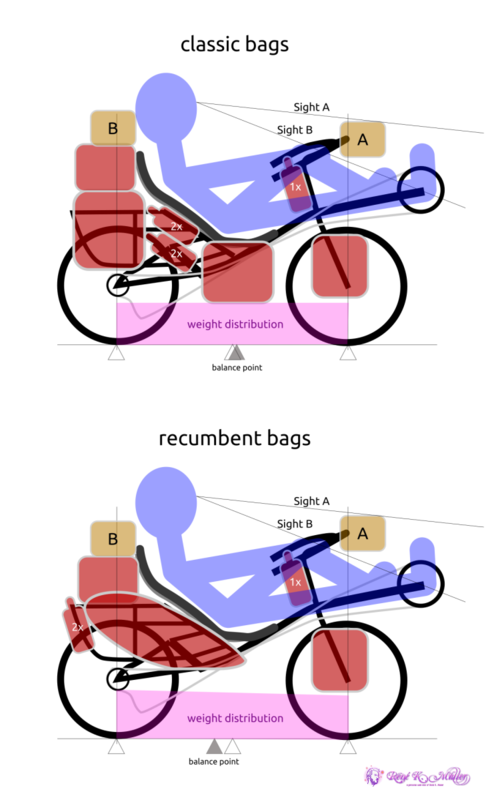 Sun, August 2, 2015: first preliminary page. 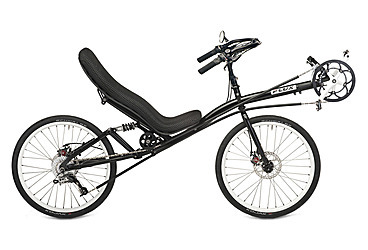 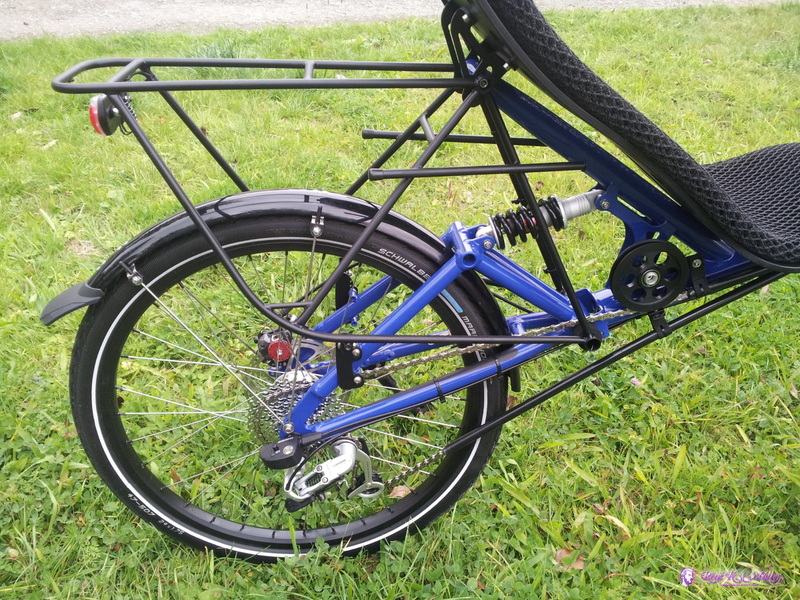 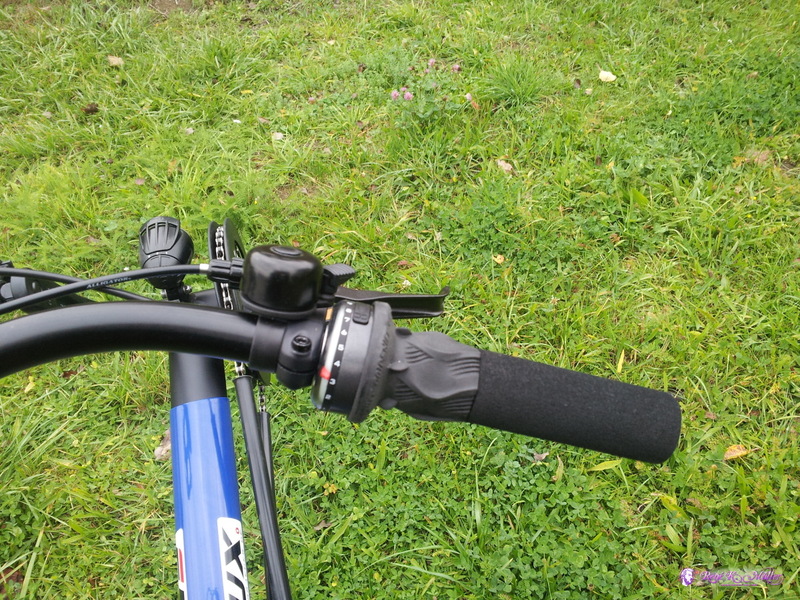 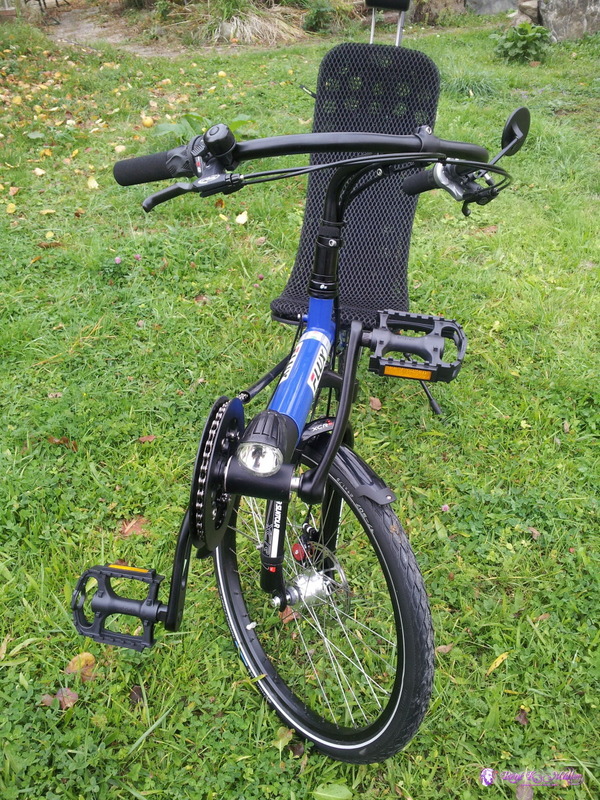 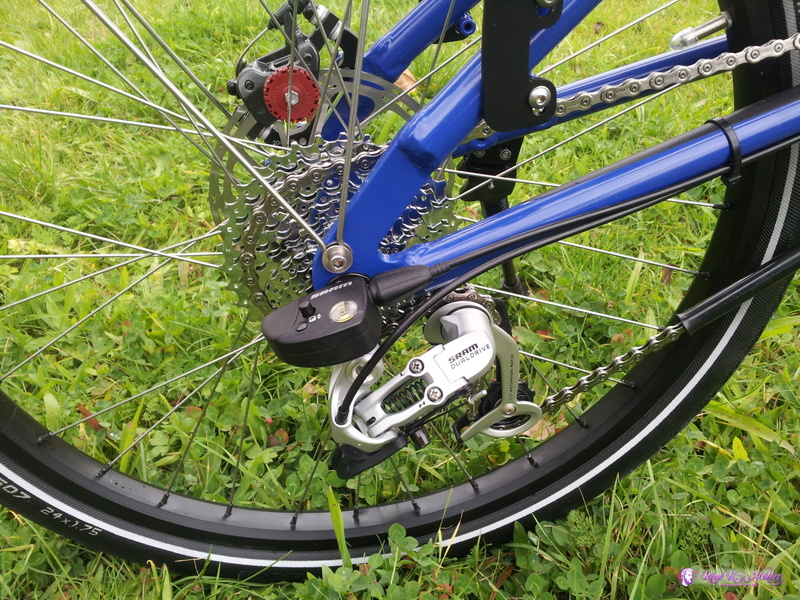 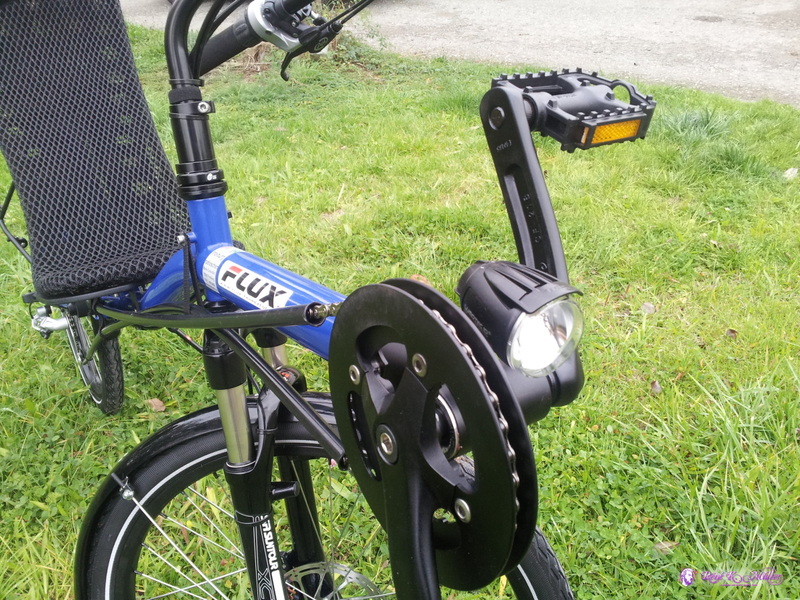 Flux S900 OL (overseat steering) with 2x24" wheels, manufactured by Flux in Germany, ordered 2015/07/29 and after 10 weeks picked up from Radium Fahrradspezialitaeten . Needless to say, recumbents are pricey, but what you get is handmade & locally manufactured quality bicycles. 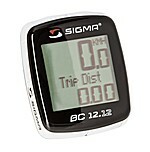 Computer: Sigmasport BC 12.12 (€ 24), incl. 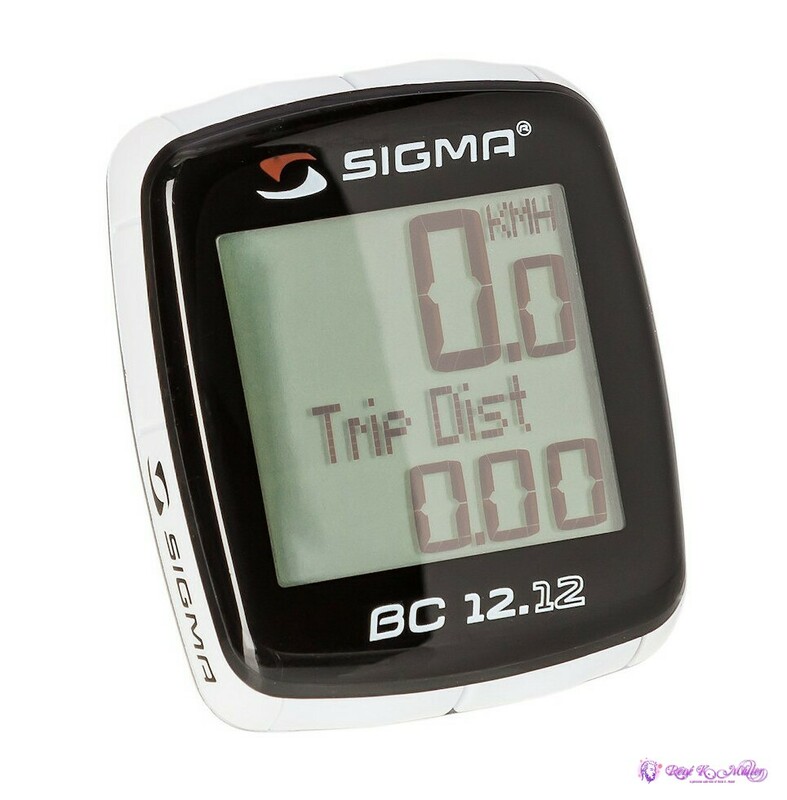 temperature, but only displays speed and one other value, looking for a replacement displaying more values simultaneously (time, speed, temperature, distance). 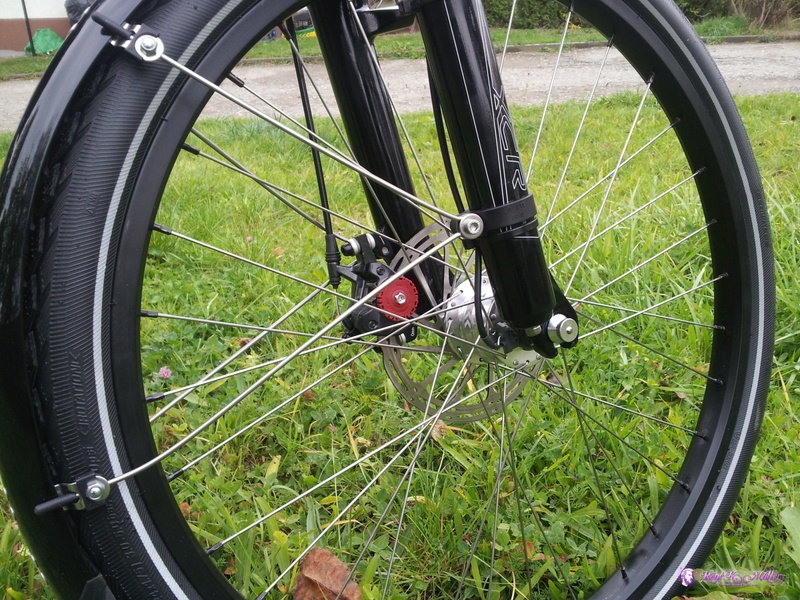 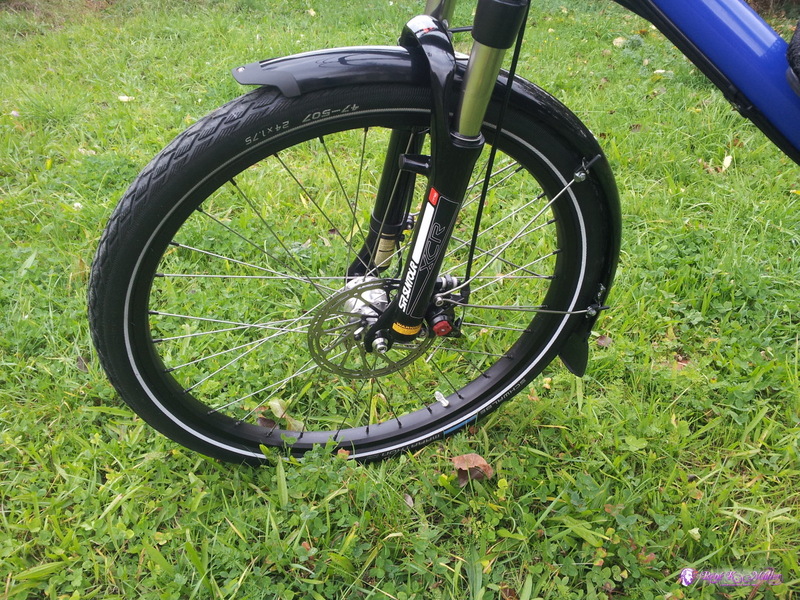 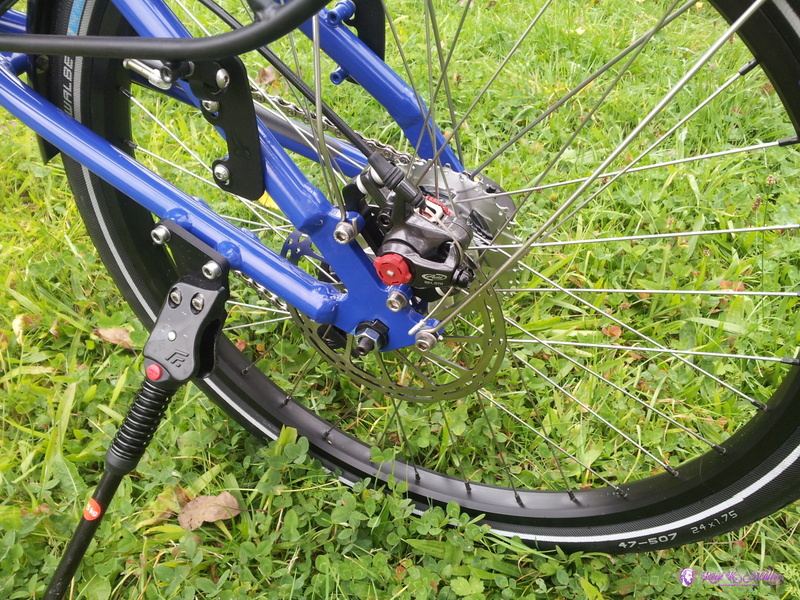 26" Wheels: I was told I can mount 26" wheels but just with 1 1/4" tires, and still mount fenders - have to try this. 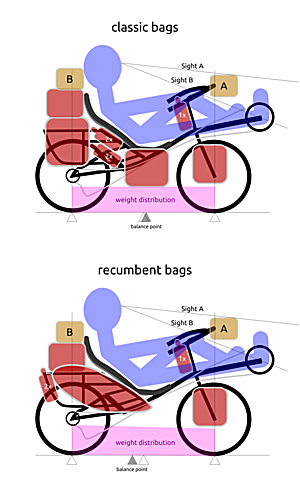 Handlebag: the current bag is too close to the pedals & feet - too bad as it's a good bag; moving it 2cm back or shorter bag would be sufficient or leaving the front part of the bag empty which reduces it by apprx. 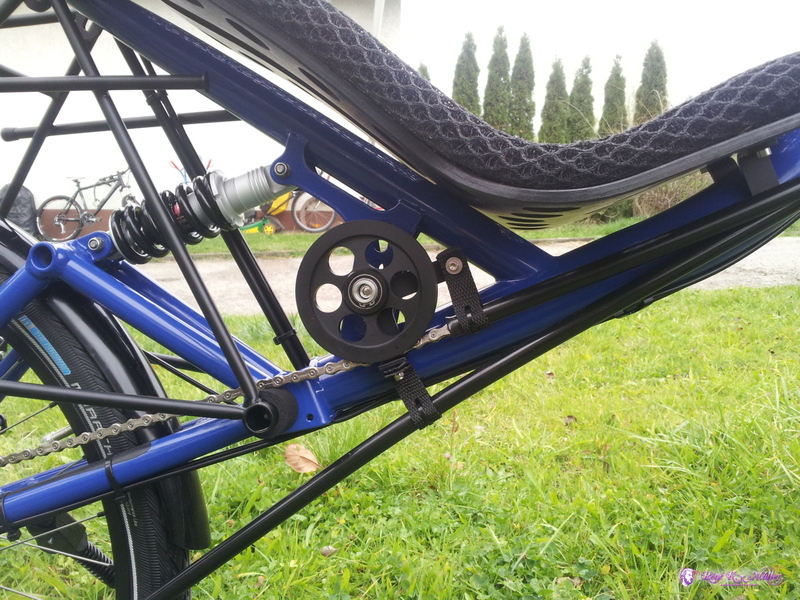 2cm as well, yet, it obfuscates some of the front view a bit. 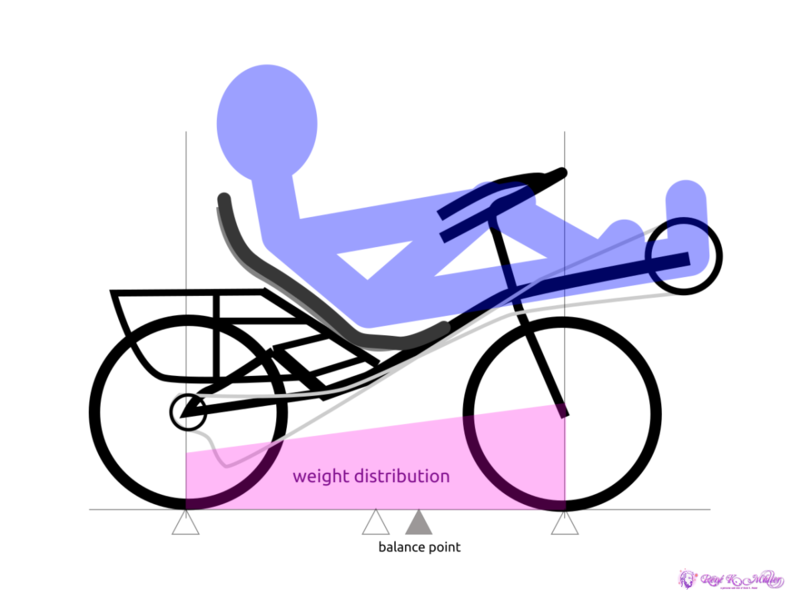 balance: without baggage there is more weight on the front (I didn't measure), and I would like to keep the baggage near the center of the recumbent, to distribute the weight and shock on the wheels evenly - yet I realized I actually should add more weight in the back than in the center. 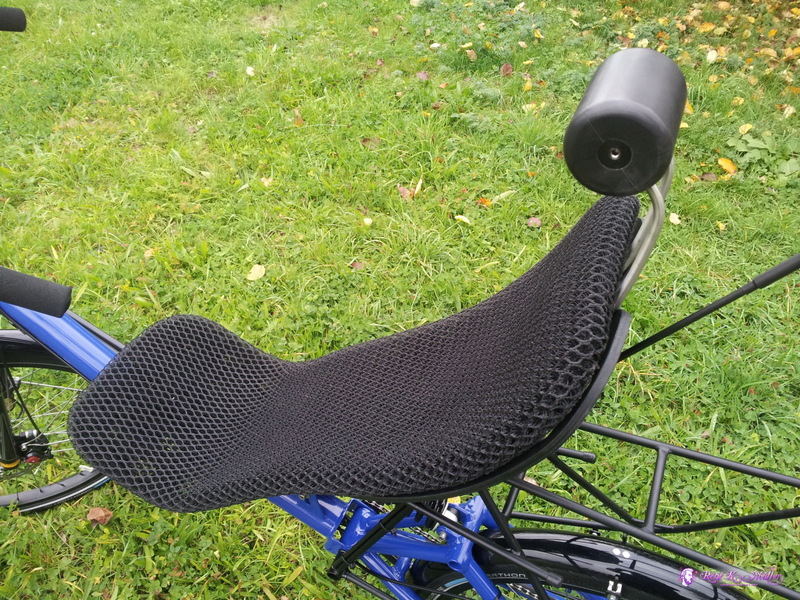 I had two bicycle bags left, where you could detach the top, one such I mounted beneath the seat, there will be sufficient space below the seat for some bottles. 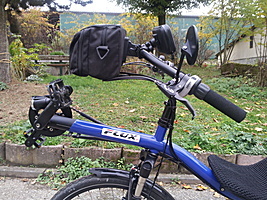 There is a way to move the 2nd bag in the center, but I have to make a small hole in the bag as there is a screws which fixates the seat to the frame. 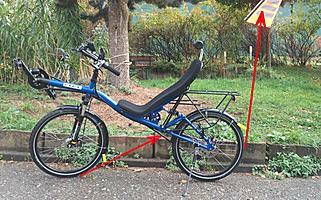 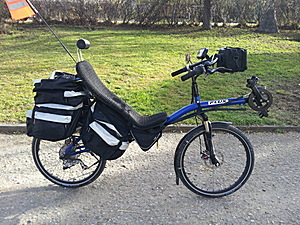 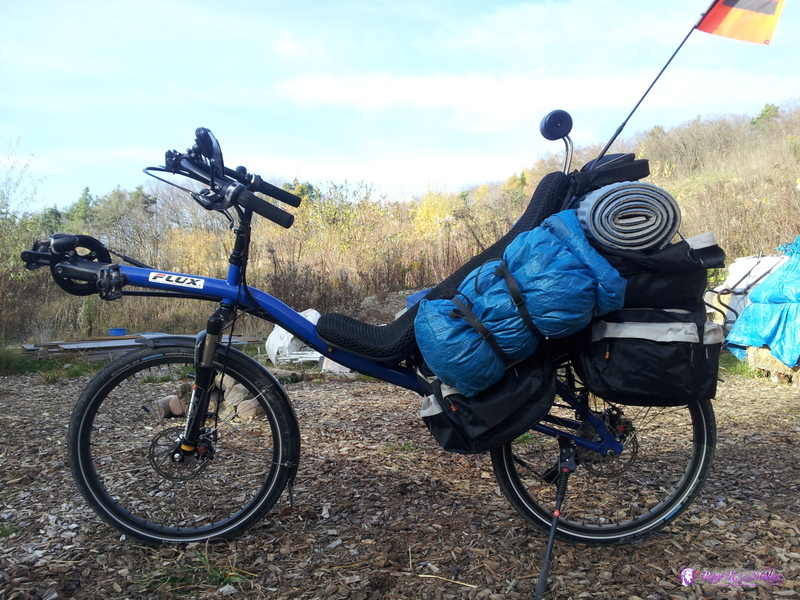 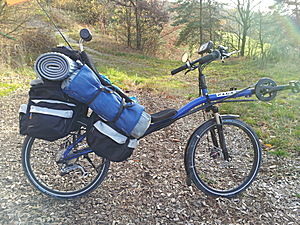 I gonna test ride this setup for a while to see, otherwise dedicated recumbents bags are required. 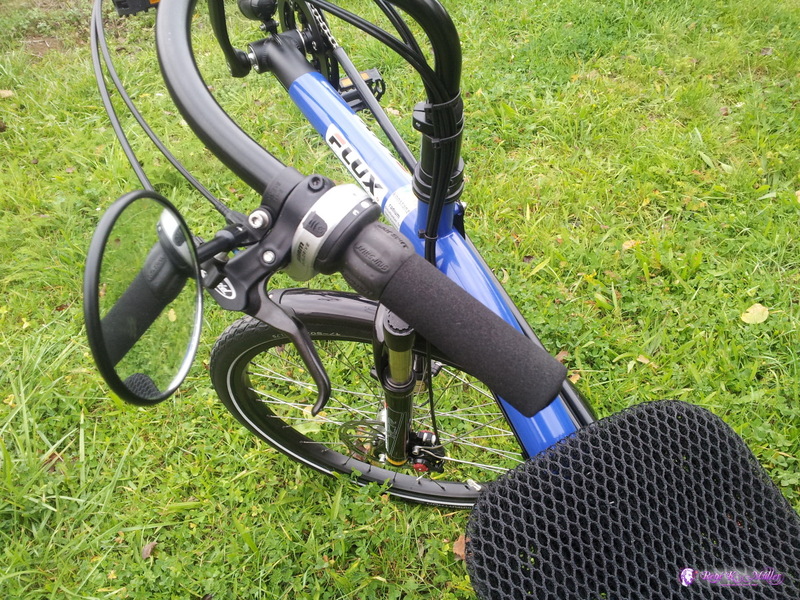 Here my notes of maintenances - I started those notes to keep track how long certain parts last. 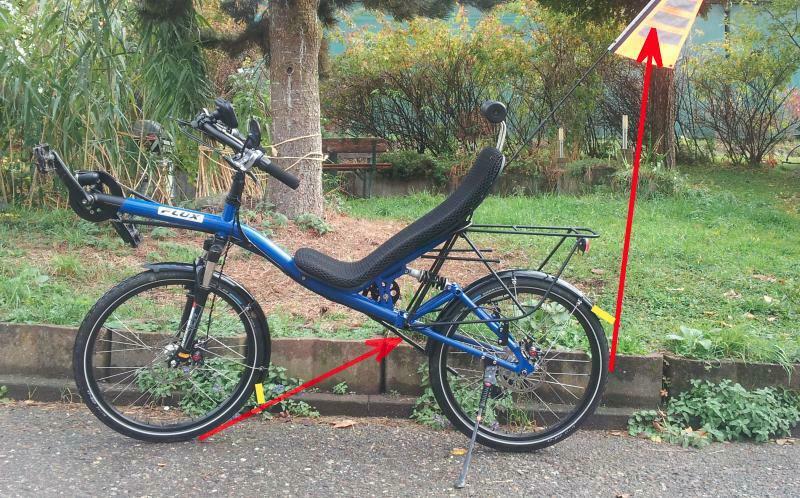 Switzerland: Swiss train transportion (SBB) plans to stop transporting tandems, longriders and tricycles somewhen in 2016, anything longer or wider than "normal" bicycle - a bad customer service. 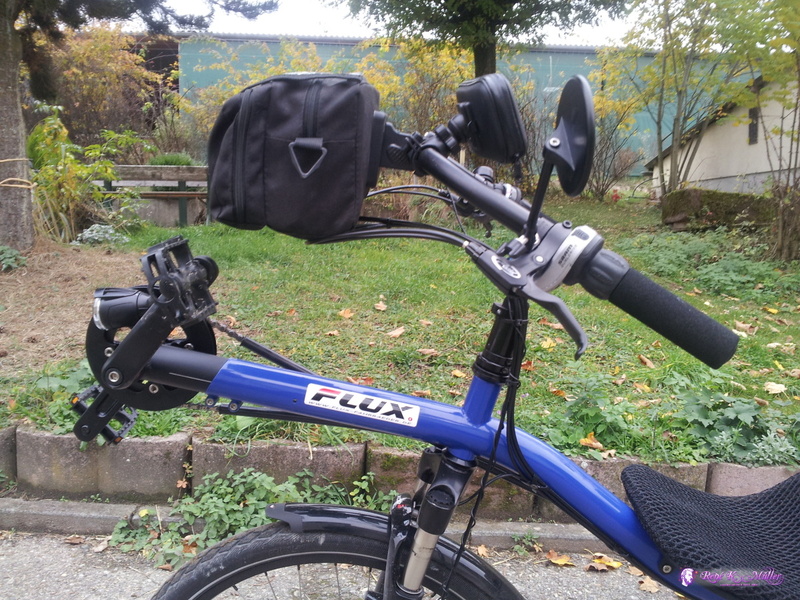 Fortunately the Flux S900 shortrider still qualifies as "normal" bicycle size-wise, so I'm good with it, whereas the Fateba I will not able to transport anymore.